Our talented team of graphic designers can quickly produce a wide variety of print items. Finishing options include grommets every two feet, pole pockets, wind slits, reinforced corners, and sewn-in rope ties. 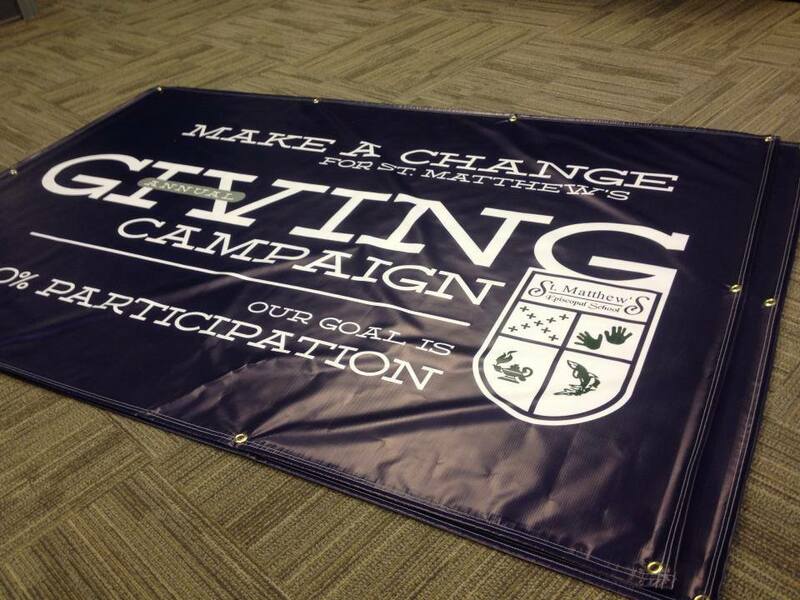 Our banners are for indoor and outdoor use, waterproof and UV safe. Our company takes pride in your ad book, for business events such as dance recitals, football programs, etc. We are meticulous when it comes to matching your child and their pictures with their correct ad. We offer books in any page size, full color and black and white. We can also print custom inserts for performance line-up, dance awards, homecoming court, senior night, etc. Brochures are an excellent way to spread the message about your company's products and services. You want to make sure that the quality of your brochure matches the high quality that your business is committed to. We offer a wide variety of brochure types and styles to meet the needs of our various clients. Half fold and trifold are the most popular fold options, but some paper sizes are also available in accordion fold, open gate fold, closed gate fold and double parallel fold. Postcards - used as business information cards, and as trade show information/coupon cards that doubled as an insert for our newspaper. 16pt. glossy paper, custom designs. Postcards are one of the most cost-effective and popular marketing tools that can help you get your company's message in front of thousands of potential customers in your area. They're cost-effective, easy to create and essential for businesses of all sizes. Don't think you have to always mail them! 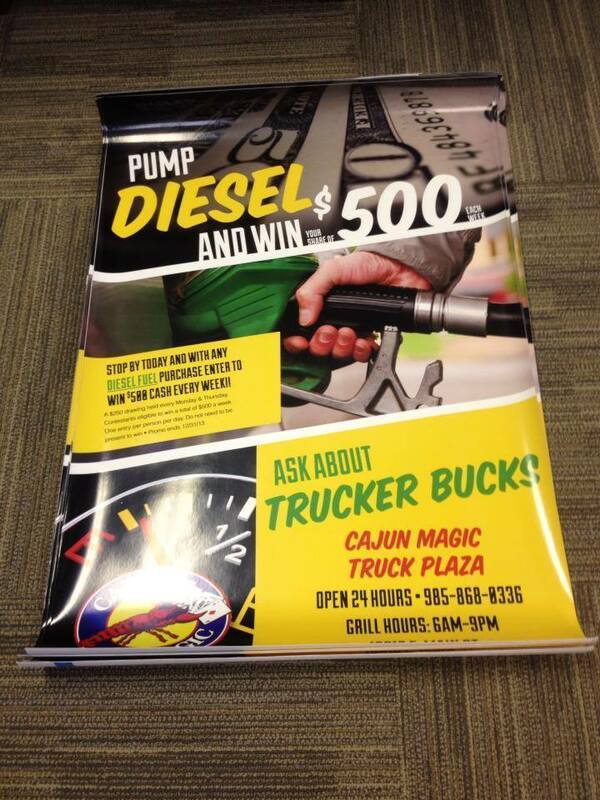 Postcards are also effective as single-page brochures, rack cards, newspaper inserts, trade show information cards. Calendar - custom design, 28 pages, perforated back page. An essential tool for just about anyone, calendars can be customized with beautiful pictures to be used as gifts or promotional items for your customers. There's no better way to remain front and center 365 days of the year. We can customize a calendar to fit your business needs, adding your deadlines and reminders to any date. The calendar pictured features a perforated back page for our customer to provide monthly coupons for use at their business. Great table topper for trade shows, exhibitions, and any presentations. Complete your presentation with our simple and cost-effective table cover. 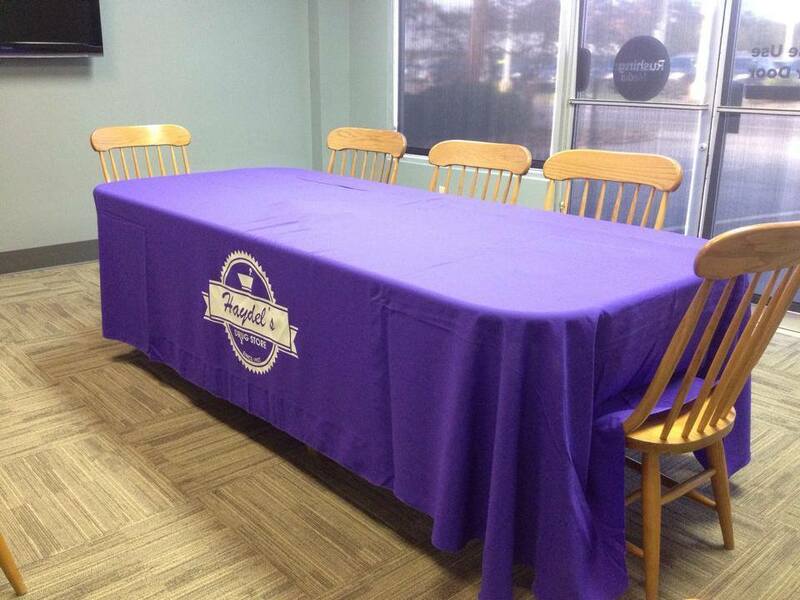 Available in 6' or 8', three or four sided, our table covers are dye sublimated and are 100% washable. Stickers are a great vehicle to spread brand recognition and display your advertising message. Stick it and leave it! We offer high-quality, full-color sticker printing available on 60 lb. Gloss Coated Crack & Peel Label with High Gloss UV. Available in various sizes. Our high resolution, digitally printed static window cling uses static to hold the decal firmly in place and does not require any adhesive. Ideal for signage on glass or other very smooth surfaces. These have multiple uses indoors or outdoors. 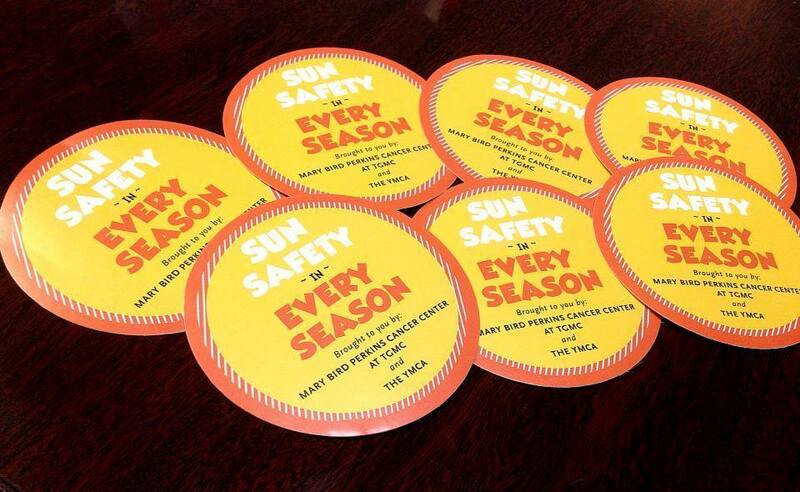 They are waterproof and UV safe that ensures the product will last.